We all need a bit of motivation from time to time. Often we can take a dip in our efforts and need a bit of a kick up the backside to get us back on track. We all hope to achieve in life. Whether it be a fitness achievement, a business opportunity, learning a new skill anything that pushes us forward in life. It often helps to take stock of other people’s advice. A pearl of wisdom or 2 from those who have been along a similar path or journey. There is nothing like an encouraging quote to get your motivation going. A quote can help you to look outside of the box sometimes. It can help you to see your situation or goal in a new light. 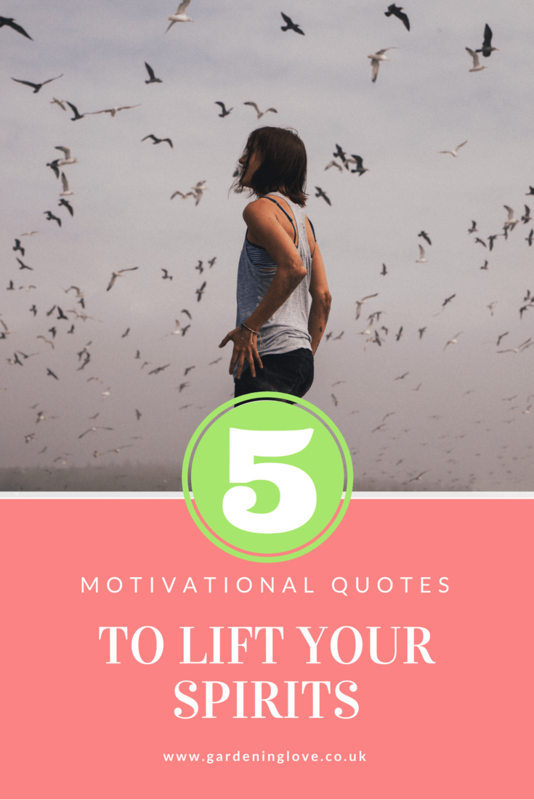 Here are 5 motivational quotes to help you achieve. Motivation doesn’t always come to us naturally. It is like a muscle, use it or loose it. To stay motivated we must wake up each day, appreciating the fresh start the day ahead holds. Then we must find motivation again and again making it a fundamental part of our daily routine. If you need inspiration for starting a great daily motivational routine then read this previous post. Don’t ever be afraid to try something new. We can’t all share the same talents. If we were all talented in the same areas, then the ‘talent’ wouldn’t be a talent ! However that doesn’t mean that you should not try out new opportunities and activities. You can have all the talent in the world, but the determination to see something through. The desire to push yourself is an incredibly powerful emotion. We all would like to have more money in our lives. Money helps ……………. a lot ! But we all know deep down that life is about so much more than money. Always aim to do something for love and passion. Let your motivation come from deep within yourself. You will find that your sense of achievement will be so much more greater and meaningful. Worrying about the future causes anxiety. Your mind can go crazy thinking about all the what if’s ? The how’s ? And the when’s? Of life. We all want to live our best life. In order to allow ourselves to look forward to the future, we must enjoy life in the moment. Look forward to the future by thinking about your ambitions and your dreams. Imagine your best life and be excited about all the amazing things that await you. Your future is unwritten and is yours to create. That my friends is an exciting prospect. This for me shares the most powerful message of all. Throughout my life I have wasted so much time, waiting for things to happen. Waiting for opportunities to come my way. Hoping my dreams would come true. A knock at the door, an arrival of a special delivery with my name on it. FRAGILE OPEN WITH CARE ! This box contains your dream life. That parcel never did arrive. It took me quite some time to work out that life really is about seizing the day. Getting out there and creating your own journey. Realising that my life is what I make of it, that I hold all of the cards and can do anything I want to in life if I put my mind to it is an awesome feeling. We must take responsibility for the lives we lead. If things are not going in the direction you would like then YOU NEED TO CHANGE DIRECTION. You are the only person in your life that can live your life. So ….. take that course, travel, save up, get healthy, read that book, call that friend, visit your relative, climb that mountain……… there really is nothing you cannot do. The only thing in your way is yourself. So there you have it. 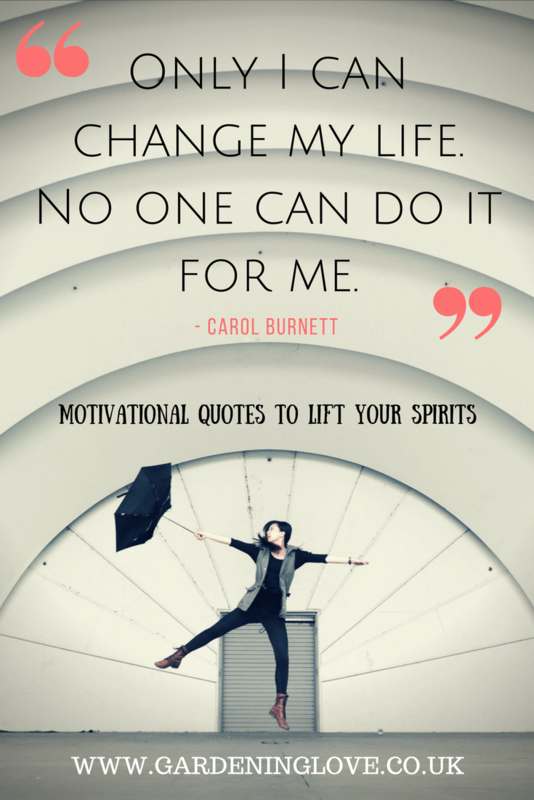 5 motivational quotes to give you some inspiration and a push in the right direction. Here is a beautiful digital download for you to print and frame, available from the Gardening Love Shop! Or via the link . All quotations are courtesy of Brainyquote, where you can find many more motivational quotes to fill you with encouragement. What gives you motivation ? Are you motivated easily or is something you have to work at ? If you need help with your motivation goals then please click here ! That’s an inspiring post. Thanks for sharing it with all of us! we all need the motivation to get through vagaries of life! Thanks Amanda! Glad you enjoyed! This is just what I needed for a motivational pick-me-up! I love the quote about the biggest motivator being not knowing our future! It’s such a great reminder that we determine what our future will be like. Great post! Zig ziglar is one of my favourites! So inspirational! Thanks for the motivational quotes. I’ve been in a bit of a rut lately. You gave me some things to think about. Love this post! I needed some motivation today and you hit the nail on the head with these quotes. Thank you! Many of us worry about the future and it’s uncertainties. Try to visualise yourself free of money worries. A future where you have more than enough money for your needs. Enjoy that thought. Thank you for sharing. I basically live through motivational quotes. They help me so much. I love the quote about the future. So very true, I have a tendency to worry about the future mainly cause of money. It’s nice to look at the future in terms of good things and possibilities that lie ahead. Sometimes we know these things it just takes us alittle longer to do them. I had to stop talking about it and do it. Thank you for sharing.